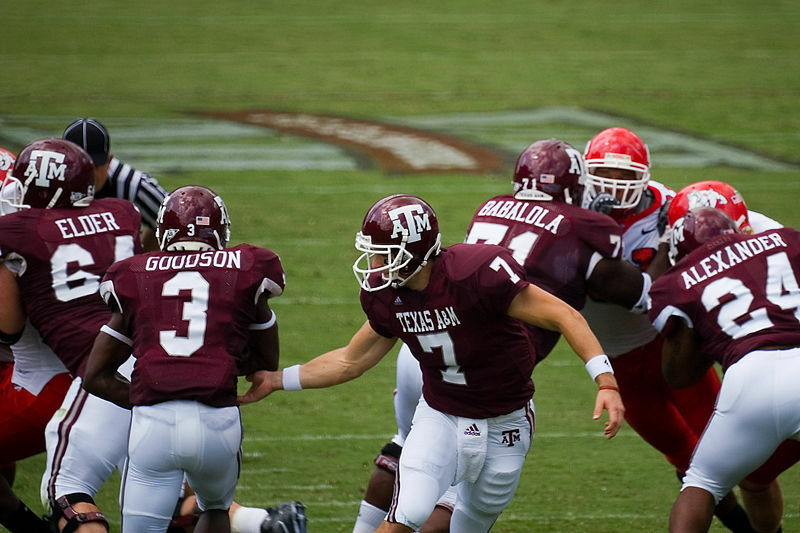 Category Archives: A&M Officiating Debacle? This is a transcript worth reading if you’re a Nebraska football fan. Husker Head Coach Bo Pelini said all the right things in response to his outbursts at officials during the Texas A&M game Saturday. In a strange way, I’m guessing this latest go-around will only add fuel to a Nebraska fire that was running out of steam. Will this ‘us-against-the-world’ mentality manifest itself on the field Friday against Colorado? We’ll see. Whatever Nebraska Chancellor Harvey Perlman and Athletic Director Tom Osborne said to Pelini, it must have struck a cord. Pelini was personable, open to answering all questions and was impressive in taking accountability for his actions. That’s all you can ask from the head coach, time to focus on Colorado. “When I got hired here a couple years ago I was asked to come in here…I really believe my job is to prepare the young men, it’s not to win football games. My job here is to prepare the young men who come into this program for the rest of their life. I make that vow to the kids when I go into their homes when I’m recruiting. I make that vow to the parents. That’s what I’m all about and that means accountability, discipline. I’m a very black and white, direct person, and I feel we’ve done that in the program. “Our kids are representing this great university with respect and integrity. You don’t see our kids out there getting in trouble on ESPN, doing all those types of things. They are representing the program the right way. I believe myself and the staff is representing this program the right way. I’m a passionate person. During that game the other night I thought there were times when, obviously it’s OK to disagree with a call, it’s the way that you disagree with the call. I believe at times during that game, I got too animated and for that I regret that, and I’m sorry about that. “It’s interesting, I always believe it’s OK to disagree with a call, (but) it’s not OK to make it personal and at times during that game, probably in my quest to fight for our kids on the football team I let it get personal, and for that once again I say I’m sorry. I regret that. “I know there is a lot of speculation out there about the exchange I had with Taylor (Martinez). He and I have handled that. First of all, I know there was speculation that it had something to do with his injury – it had nothing to do with his injury. It was an issue totally unrelated to that. We handled it. Once again, I regret that it was on national TV. When I wanted to address the team earlier in the season, and I had all the press out, you guys gave me a lot of havoc over that, but I felt like something needed to be dealt with directly with the team. I did that. I usually do those things behind closed doors. Once again, when I deal with something, I told you I deal with something directly. If there’s an issue with something related to the team, you guys know me, my policy is I don’t talk about what happens in our family. What happens inside stays inside. Was it really a conspiracy? Well, if you believe officials had it out for Nebraska Saturday night at Texas A&M, there is plenty of evidence to support that. NU was penalized 16 times for 145 yards. A&M, just two penalties for 10 yards, propelling the Aggies to a 9-6 win. Is A&M really this disciplined? Is Nebraska really THIS self-destructive? I’d say no and yes. The first thing that jumps out about this game is that it clearly wasn’t evenly called by officials. In fact, there were times when the zebras were blatantly targeting the Huskers. Heck, for that matter officials haven’t been even-handed with Nebraska all season long. NU has been penalized 86 times for 797 yards, while the opponents have been flagged far less — 48 times for 420 yards. Cases in point: Late in the game Nebraska safety Courtney Osborne was called for a personal foul for a hit on A&M quarterback Ryan Tannehill, on what was a crucial third down play that saw the Nebraska defense hold. Osborne clearly made a clean hit that wasn’t even late — shoulders squared, head up, square in the chest as Tannehill released the ball. Second, earlier in the game Nebraska linebacker Eric Martin was called for two personal-foul penalties on special teams. OK, may be just a coincidence here, but Martin was suspended earlier this season for a supposed helmet-to-helmet hit against Oklahoma State. And if you remember, Osborne drilled Missouri quarterback Blaine Gabbert on what was a perfectly legal hit. Following that game Tiger Head Coach Gary Pinkel said that maybe conference officials should review the Osborne hit — which it never did. Were officials in College Station specially targeting Osborne and Martin? We’ll never know. The 2010 season has been a dramatic sway against Nebraska from officials, no doubt. Yet it would seem to be over-simplistic to say officials are out to get NU because of the move to the Big Ten, or for any other reason. I think it’s more likely that Nebraska really is its own worst enemy, especially since Bo Pelini has taken over the reigns. Let’s be honest, Pelini has brought the return of physical play by Nebraska on both sides of the ball — balls to the wall, every play for four quarters. Unfortunately, this team has taken on the personality of its coach in a bad way. Pelini was all over the officials, in fact looking downright out of control at times. There were more F-bombs dropped by Pelini in one game than maybe his entire career at Nebraska, combined. Pelini spent most of the game jawing at officials, in fact drawing an unsportsmanlike conduct penalty late in the game. Did officials at A&M focus squarely on Nebraska? Sure looks that way, and in fact there are games like this all the time when one side gets called for more than its share of penalties. Conspiracy? Probably not. While Pelini has brought a lot back to this program, his players are undisciplined and commit their share of stupid mistakes. This has been the case since day one. Football has to be played with focused anger, but Pelini’s Nebraska has been borderline dumb. Before Pelini’s arrival in 2008 there was little penalty disparity between Nebraska and its opponents. From 2000 to 2007, Nebraska opponents averaged 83 penalties for 647 yards per season, compared to 79 penalties for 656 yards for NU. Since 2000 Nebraska has been flagged for more penalties than its opponents on what will be six seasons including 2010 — three of those by Pelini-coached teams. In 2008 and 2009 Nebraska piled up more than 800 yards in penalties, the two highest totals since 2000. Unless NU doesn’t commit a single penalty the rest of the way in 2010, the Huskers will again eclipse 800 yards. That reflects a serious lack of discipline more than bad officials. 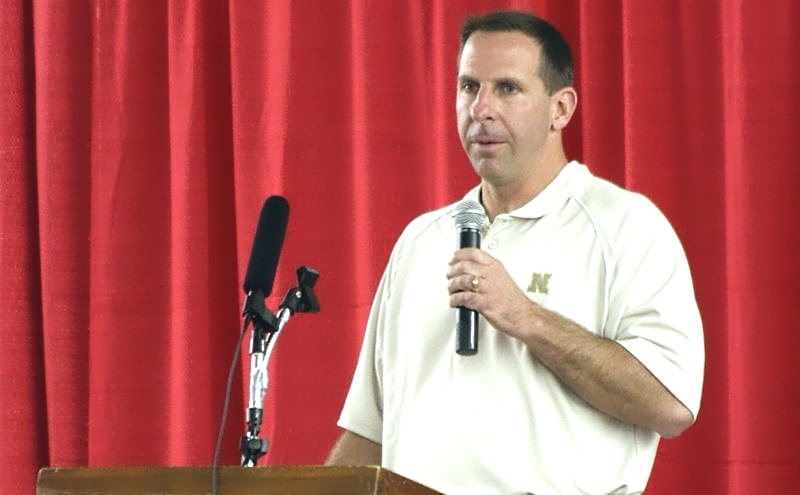 Following the loss Saturday Pelini again indicated that officials were horrible, without actually saying it. He was ticked and actually tracked down one of the officials for a little chat following the game. The Omaha World Herald declared this morning that the 12th man at Texas A&M in this game was the officials, http://dld.bz/72vD. Don’t just cater to the readers here, let’s be honest. Pelini has to let off the officials. It’s no wonder Nebraska couldn’t buy a break all night — the coach was in a fit of rage all game long. If the coach is poised and cool under pressure his team will respond that way. Unfortunately Pelini wasted a great defensive performance by the Blackshirts with his sideline antics. You gotta love the football intelligence Pelini brings to the game, but now it’s time to look in the mirror.